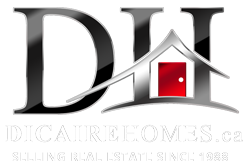 Dicaire Homes, Ottawa real estate: Considering selling on your own? 1. You are limiting your exposure to potential buyers (less than 10% of what a good real estate broker will generate) which theoretically means your home will take longer to sell. 2. The longer a home is on the market the lower the selling price is. Why? Because most buyers think that if the home has not sold after this long... there must be something wrong with the home. Or they know it is not listed at the right price. The bigger the number of Days On the Market (DOM), the lower their offer will be. 3. The selling/buying process begins AFTER the buyer leaves your home. Most sellers think that all it takes is for someone to see their home, fall in love with the great decor... and the offer automatically will follow. The buying process begins after they leave your home. If a realtor does not represent the buyer, usually leaves the home and start to talk themselves out of the buying process. Real estate professionals are known how to overcome buyers’ remorse--a very common occurrence. 4. Most buyers find it extremely awkward to negotiate or even to talk directly with sellers and therefore avoid properties that are privately for sale. 6. The majority of qualified buyers are working with experienced real estate professionals. 7. Many serious buyers will skip a FSBO home merely because they recognize that it is not in the real estate mainstream and this can sometimes make them wary. 8. Since buyers can be represented by an experienced real estate sales person for free...you will probably be negotiating with an experienced professional. Further, real estate sales representatives are involved in home sales much more frequently than the average homeowner is. This familiarity leads to a degree of expertise that provides an edge on negotiating and successful selling. 9. Expected savings in broker's fees will also be greatly reduced if you decide to offer a selling commission to entice real estate sales representatives to bring potential buyers. 10. If you are planning to use a Lawyer to help you negotiate the offer, then your lawyer's fees will be considerably higher. 11. You only pay the commission to the real estate broker, if they successfully sell your home. 12. Accepting a conditional offer is one thing, bringing it to a firm deal is quite another. As well, real estate transactions often have problems on closing. At times, expecting the Buyers and Sellers Lawyers to fight it out or resolve the problems can sometimes mean the deal is lost. This is the time that your experienced real estate professional can be most valuable to you! He or she can act as a great mediator. Lawyers MUST act only on their client's instructions and are not paid to negotiate.